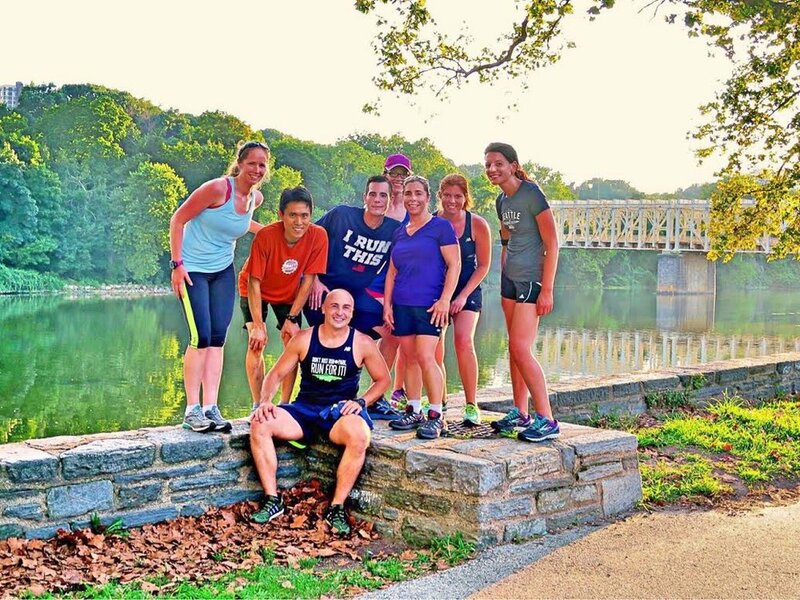 Running in the Philadelphia area continues to grow and grow. From the races to beautiful trails and places to run to great groups, we consider ourselves very lucky to be surrounded by such a wonderful running community. Here's who we're running with this week! If one was asked to name a neighborhood among the dozens found in Philadelphia, East Falls would almost certainly not be the first answer to come to mind. Or perhaps even among someone’s next couple of choices. But to visitors, those who breeze through it during a long run and especially the people who call it home, they all know East Falls as a hidden gem of Philadelphia. It’s a neighborhood with a true sense of tight-knit community, which counts everyone from college students and young professionals to families and lifelong residents among its members. A neighborhood with this type of diverse and welcoming inclusivity was the perfect place for our running club to be born. In the early summer of 2016, a discussion took place on the former RUN215 Facebook group page about running clubs throughout the city. A couple of runners who resided in Northwest Philly commented on the relative shortage of communal running clubs in our corner of the city, at that time. Through that conversation, a group of us learned that we both A) all lived in East Falls and B) loved to run. After further planning, myself, Greg Skochko, Liz Vaden and Lisa Pankey decided to plan an inaugural run on Kelly Drive, followed by some post-run socializing at local pub Billy Murphy’s Irish Saloon. The run was scheduled to be held on a Monday night, July 11, 2016. We advertised the run locally, through word-of-mouth and on social media, but weren’t sure what type of response we would receive. It was awesome to see about 15 runners that summer night at Falls Bridge, who all enjoyed a 3-4 mile run followed by some refreshing brews at Billy Murphy’s. Neighbors met each other and new friendships were made. It’s safe to say our expectations were well-exceeded. We decided to make Falls Bridge, one of the neighborhood’s most recognizable landmarks, our weekly meeting point. We chose to have a 30 minute-long, out-and-back run on either Kelly Drive or Martin Luther King Drive each week, depending on available light, path traffic and how that night’s mood struck us. We later incorporated a weekly track workout behind the William Penn Charter School into our routine, which takes place in the early morning on Wednesdays or Thursdays, depending on our members’ schedules. We also take pride in supporting our local establishments, after Monday runs and other events. Our favorites include Billy Murphy’s Irish Saloon, Wissahickon Brewing Company, Franklin’s East Falls, Cranky Joe’s and Shan Chuan Restaurant, among others. And as every running club has a name, we recognized that we needed one, too. We knew we had to incorporate the neighborhood’s name somehow, and after some discussion, decided on calling ourselves the “East Falls Flyers” (in a nod to both the local NHL team and in keeping the running theme prominent). Our irreverent motto became simply, “EFF Mondays”. Since the running club’s creation, we have welcomed new members, seen original members move on to other neighborhoods, cities and states, run together, toasted together…and even sparred together, during a recent group outing to the Pennsylvania Renaissance Faire. Just like the neighborhood which bears its name, our club is a tight-knit community that feels like a little family. Our members have a wide variety of occupations, backgrounds and life experiences. Our club both contains and welcomes runners of all paces, and no one ever runs alone. The East Falls Flyers meet every Monday night at 6:30 p.m., on the Kelly Drive side of Falls Bridge. If you like to lace up the sneakers for some miles and share some cold brews and great conversation afterwards to start your week, we would love to meet you.